Ships today if you order in the next 10 hours 51 minutes. That's what MegaFood uses to create a supplement that gives you a healthy helping of Vitamin C - every day! Getting the vitamins you need from a healthy diet is always best. But let's face it. Those fruits and veggies aren't always readily available when it's time to eat. However, with MegaFood's Daily C-Protect Nutrient Booster Powder you can mix up a glass just about anywhere. 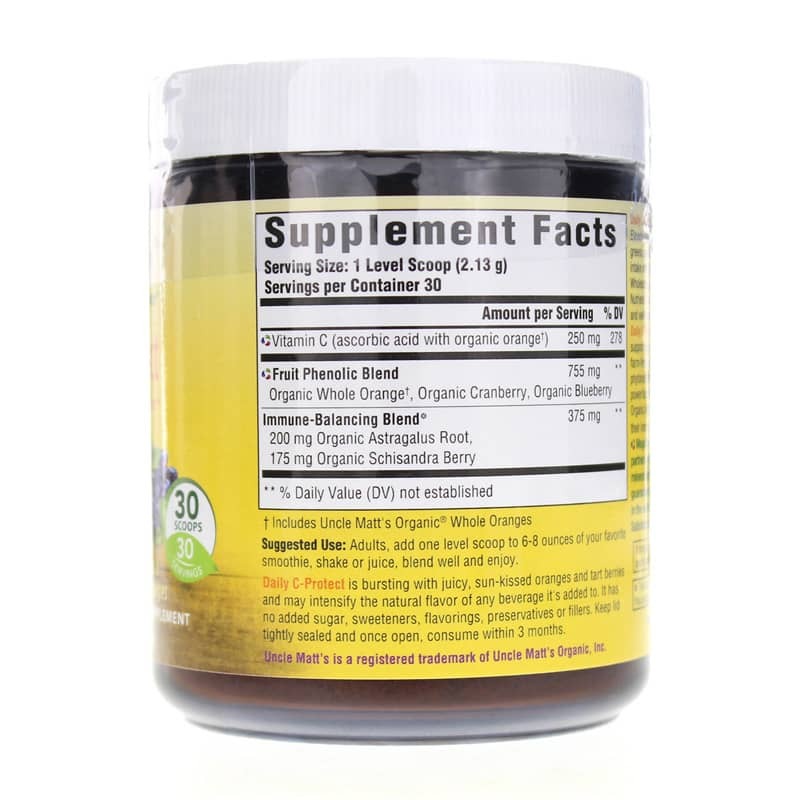 This supplement is formulated to potentially strengthen your immune system so your body can defend itself and stay in top shape. When you mix up a smoothie or add this powder to some juice - you may notice it intensifies the flavor. That's because those sweet, juicy, sun-kissed oranges and tart berries are tantalizing your tongue. It's farm fresh goodness in an easy-to-use drink mix. 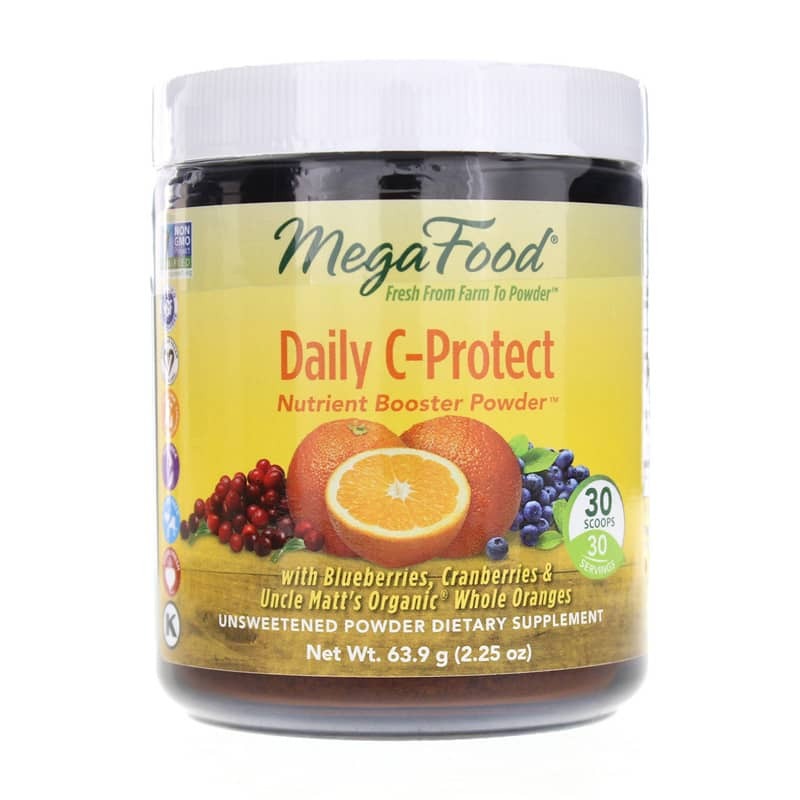 Discover a delicious way to maintain a healthy immune system and get your daily dose of Vitamin C.
Order Daily C-Protect Nutrient Booster Powder from MegaFood now! 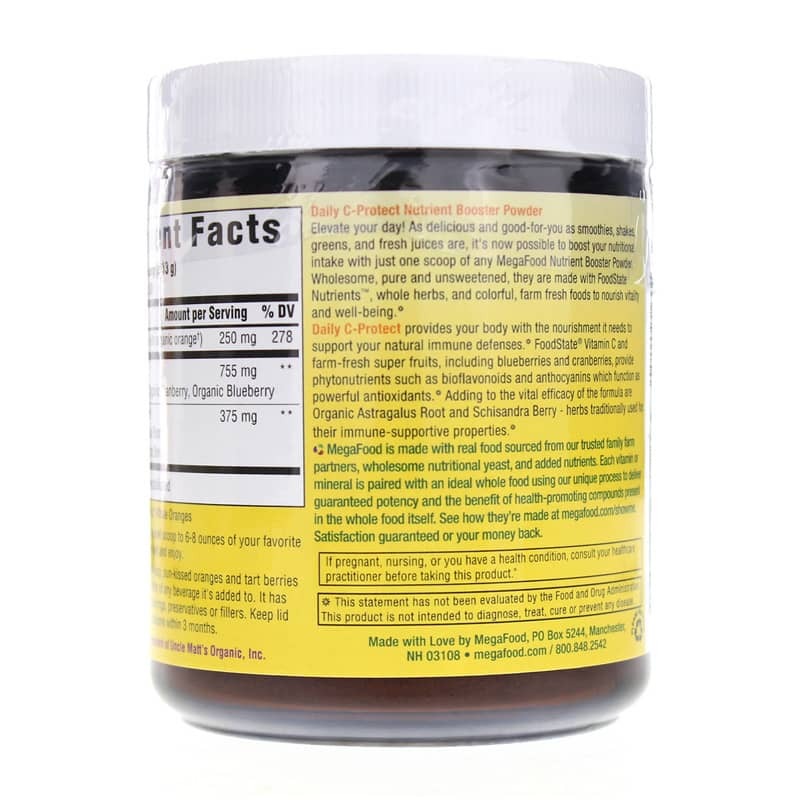 Contains NO: gluten, dairy, soy, GMOs, added sugar, sweeteners, flavorings or preservatives.. Adults: Add 1 level scoop to 6 to 8 ounces of your favorite smoothie, shake or juice, blend well and enjoy. I am a returning satisfied customer. The Daily C Protect is slightly off in flavor and doesn't mix very well. It's okay though.